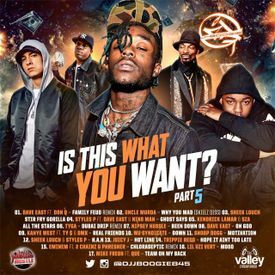 Staying consistent to start 2018, DJ J-Boogie is back with volume 5 of the "Is This What You Want Series". This time with new heat from artists such as Dave East, Sheek & Styles P, Uncle Murda, Wu-Syndicate and Snoop Dogg just to name a few. From the start at track one to the finish at track 17 this tape will not let you down.